When a man is tired of London,’ Samuel Johnson famously declared, ‘he is tired of life’. With all due respect to Sam, much as we at Top Sights Tours love everything about living in the city, we disagree. But England is spoilt rotten with attractions meaning a day away from the capital is definitely worthwhile and generally just a short train ride away. Stonehenge is like an amazing magic trick – delightfully mind-boggling, but you don’t really want to know how it happened. Which is convenient, because no one’s quite figured it out yet. Here’s what we do know: it’s a massive, prehistoric stone circle, believed to have been constructed around five thousand years ago, which makes it older than the Great Pyramid of Giza. The largest stones weigh 25 tons and stand 30 feet tall. Epic. Although you can’t touch the stones (to protect them from erosion), you can stroll among them on walkways. The visitor centre has an interactive presentation that allows you to sit amongst the stones as the seasons change. If you have your own transport, you could drive north to Avebury, home to another famous stone circle – you can touch those ones. Enjoy a day-long excursion to the Roman city of Bath. This day trip from London package includes the Botanical Gardens, the Jane Austen Centre, Bath Abbey and the Roman Baths. Duration: 11 hours 30 minutes to 12 hours. Alternatively, Bath is just 1 hour 30 minutes by train from central London. In Chaucer’s day this was where people came for a big old knees-up. Today its default is a little more sedate, but a large student population means there’s still a pleasingly rowdy edge. Kick things off with a leisurely stroll down the King’s Mile, home to boutiques a-plenty. Lunch-wise you’re spoilt for choice, from gourmet Scotch eggs with slaw and fries at Pork & Co, bento boxes at Tamago or pizza straight from the oven at indoor farmers’ market The Goods Shed. Round off your very own Canterbury tale with a visit to the Beaney House of Art and Knowledge, which features one of the world’s most important collections of cow paintings and an Egyptian mummified cat. A trip to the New Forest is about as close as you can get to going on safari without buying a plane ticket. As you make your way down dappled lanes and across the heather-covered heath you’ll be watched the famous ponies, which have grazed there for thousands of years, plus free-ranging Highland cattle and pigs hoovering up fallen acorns. Don’t fancy being stuck in the car day? Hire a two-seater electric Twizzy buggy to explore in, or book a beginners’ hack at one of the stables. Don’t forget to make time for a proper ploughman’s lunch at the Royal Oak in Fritham. Stuffed with originality and independent businesses,Brighton is often referred to as London-on-Sea, though that’s more a nod to property prices than a reference to its character. This place has a personality all its own – grungy, creative, bohemian. Start in the North Laine neighbourhood, packed with pubs, cafes and theatres, then delve into The Lanes a little further south for a great shopping experience. Look out for the eccentricRoyal Pavilion– built by King George IV as a seaside retreat – and take a walk along the pier, checking out the amusements. Winchester is just lovely. Technically a city, on account of its fabulous cathedral, it has the feel of a friendly, small town. England’s capital about a thousand years ago and home of King Alfred the Great, today it boasts a variety of excellent pubs, countryside walks and a lively high street. At the top of the high street is an imitation of King Arthur’s Round Table hanging in theGreat Hall. Just off the high street, through a short alleyway, isWinchester Cathedral, a stunning building with the longest nave of any gothic cathedral in Europe. Back on the high street, head past the statue of Alfred the Great to the River Itchen – follow it to get toWinchester College. Take a day trip to Stratford-upon-Avon from London and arrive deep in Shakespeare country, where the world’s most famous author was born and raised. 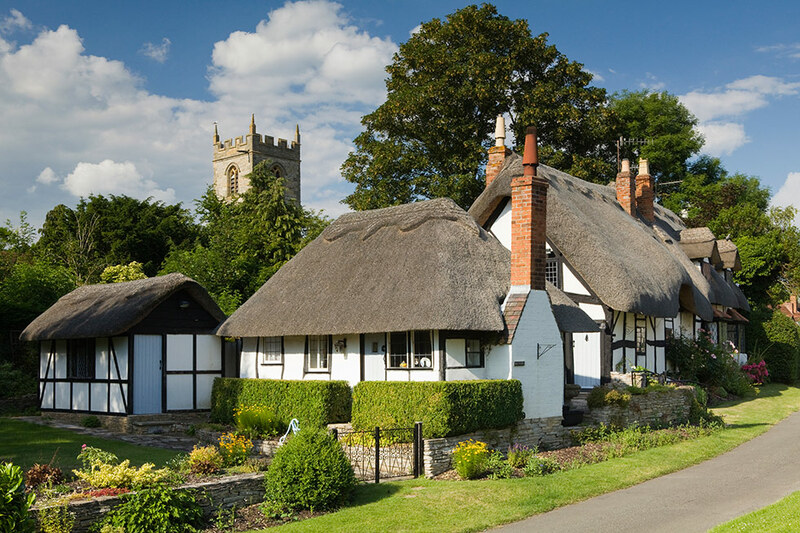 Explore the town on an open-top bus tour, hopping off at Shakespeare’s house en route. Duration: 10 hours 30 minutes to 11 hours 30 minutes. Best known for its world-famous university and forest of ochre spires, Oxford is a grand old place, steeped in privilege and prestige. The large student population keeps the atmosphere young and fresh, though there’s no shortage of history if you want it. Highlights include the museums, punting along the River Isis, and the 30 colleges that make up the university itself – the most famous are Christ Church and Magdalen. A tour of the university colleges is a must – Harry Potter fans will recognise various locations used in the movies. If you visit in summer, punting is a quintessentially English experience. Another highlight is Blenheim Palace, a monumental residence and the birthplace of Winston Churchill, a short bus ride from the city. Heads up, horror fans: Guildford’s cathedral starred in cult bone-chiller ‘The Omen’. That being said, everything else about Surrey’s county town is bucolic in the extreme: if it’s sunny you can lounge by the water at pretty Dapdune Wharf, or actually get in it at the Guildford Lido. Lunch on locally-sourced nacho boxes at Burrito Loco, before checking out the 400-year-old Star Inn. Still thirsty? Hop on a train to tour the nearby Hogs Back Brewery.